Today’s cake is from my Dad’s 70th Birthday. 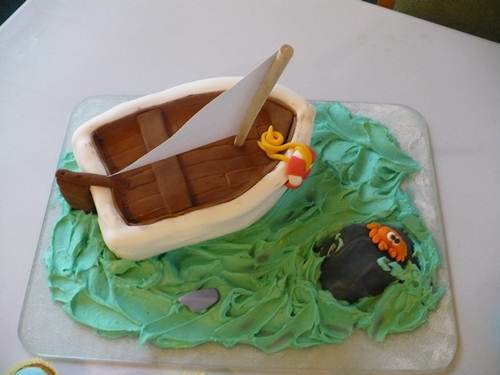 He loves sailing so it had to be a boat! He was so surprised! 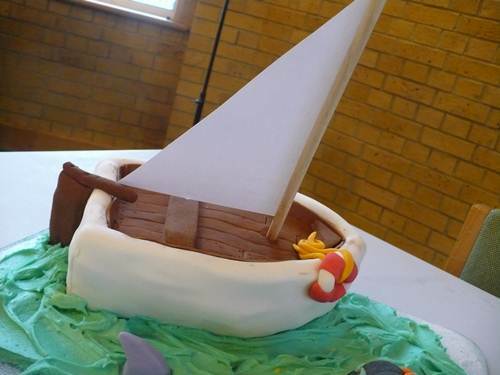 As you can see there were little boat cupcakes too – 100 of them!!!! 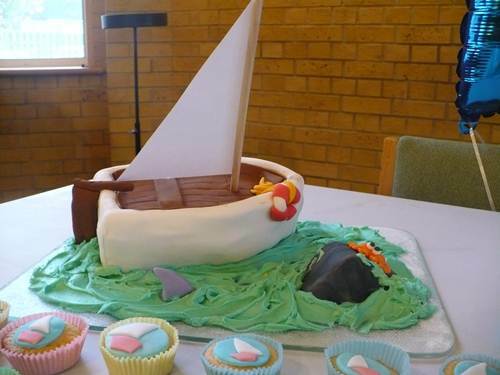 The boat is cake! as is the big rock. Both are covered in ready roll! The crab, shark and life ring are ready roll too. The water is butter icing. 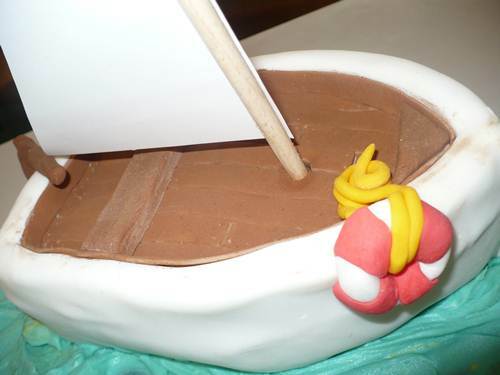 The planking etc are made from chocolate ready roll – I made it by mixing in cocoa powder – very messy. Each plank went in individually. Took ages. It’s held together with judicious use of cocktail sticks! WOW !! WOW!! This is such a creative & gorgeous cake!! I bet it tasted delicious too!! 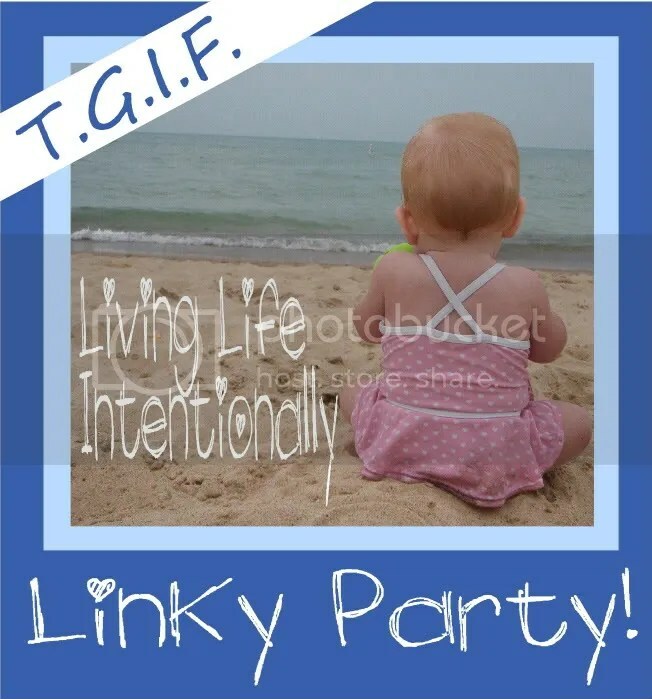 Thank so much for linking up to TGIF Linky Party. You just keep impressing me ~ I can’t wait to see what else you link up! Oh, so cute! I tried making a tree cake for a birthday (it was going to be where the hobbit lived….long story…) but I have no skills. I bet your dad was so excited when he saw it! What a wonderful cake. 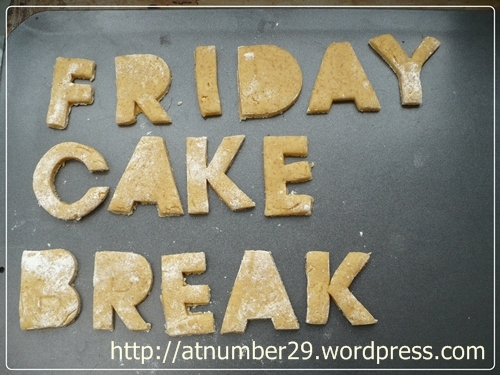 I am envious of your baking and decorating skills, I could never do something like that.